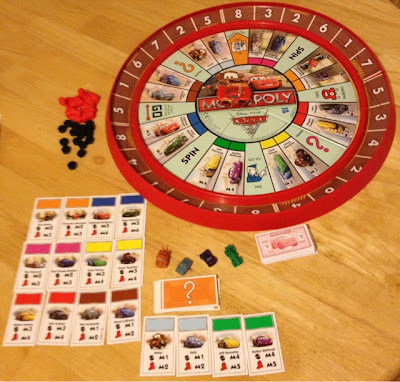 It has been a freezing cold weekend, we have all got coughs and colds so we decided to play some good old fashioned board games, my son picked Cars 2 Monopoly, he got this as a present last year, its a modern twist on the old and much loved Monopoly. It has chance cards just like the original monopoly. This is such a great fun game for all the family.